The article below is from the brilliant Biblical scholar Dr. Walter C. Kaiser. It was forwarded to me by Pastor Chuck Andrews and reproduced below in its entirety. The article is an exegesis of Genesis 2:18 and proves, definitively in my opinion, that God designed and created women with full equality to men. It should also answer several questions from the previous comment stream. "Are women inferior to men, merely designed to be their helpers? Is it consistent with the biblical text to view men as the initiators and women as their assistants? Is this what makes women suitable matches for men? Ecclesiastes 4:9–12 expresses this same opinion about aloneness. The wise writer Solomon advised: Two are better than one. … If one falls down, his friend can help him up. … Also, if two lie down together, they will keep warm. But how can one keep warm alone? Though one may be overpowered, two can defend themselves. True, in Jeremiah 16:1–9 the prophet Jeremiah is commanded by God to remain alone, but this is meant to be a sign that God’s judgment on the people is so near that it will not be worthwhile to get married. Nevertheless, the full life is a life that finds its fulfillment in community with another person or group of persons. In the Genesis story we find that God created a woman after he had created the man. This would end Adam’s loneliness and the state that God judged to be “not good.” She was to be his “helper”—at least that is how most of the translations have interpreted this word. A sample of the translations reads as follows: “I shall make a helper fit for him” (RSV); “I will make a fitting helper for him” (New Jewish Publication Society); “I will make an aid fit for him” (AB); “I will make him a helpmate” (JB); “I will make a suitable partner for him” (NAB); “I will make him a helper comparable to him” (NKJV). However, the customary translation of the two words ˓ēzer keneḡdô as “helper fitting him” is almost certainly wrong. Recently R. David Freedman has pointed out that the Hebrew word ˓ēzer is a combination of two roots: ˓-z-r, meaning “to rescue, to save,” and ǵ-z-r, meaning “to be strong.” The difference between the two is the first letter in Hebrew. Today that letter is silent in Hebrew, but in ancient times it was a guttural sound formed in the back of the throat. The ǵ was a ghayyin, and it came to use the same Hebrew symbol as the other sound, ˓ayin. But the fact that they were pronounced differently is clear from such place names which preserve the g sound, such as Gaza or Gomorrah. Some Semitic languages distinguished between these two signs and others did not; for example, Ugaritic did make a distinction between the ˓ayin and the ghayyin; Hebrew did not (R. David Freedman, “Woman, a Power Equal to a Man,” Biblical Archaeology Review 9 : 56–58). The case that begins to build is that we can be sure that ˓ezer means “strength” or “power” whenever it is used in parallelism with words for majesty or other words for power such as ˓oz or ˓uzzo. In fact, the presence of two names for one king, Azariah and Uzziah (both referring to God’s strength), makes it abundantly clear that the root ˓ēzer meaning “strength” was known in Hebrew. Therefore I suggest that we translate Genesis 2:18 as “I will make a power [or strength] corresponding to man.” Freedman even suggests on the basis of later Hebrew that the second word in the Hebrew expression found in this verse should be rendered equal to him. If this is so, then God makes for the man a woman fully his equal and fully his match. In this way, the man’s loneliness will be assuaged. What God had intended then was to make a “power” or “strength” for the man who would in every way correspond to him or even be his equal." Kaiser, W. C. (1997, c1996). Hard sayings of the Bible (92). Downers Grove, Il: InterVarsity. And it follows that God would not create this "strong one facing him" as inherently deceivable either. Another significant fact is that she was not made from dust as Adam and the animals. Had she been formed out of dust Adam might have seen her as on the level of animals, making his outburst of praise even more significant. Great post. Thank you, Wade and Chuck Andrews. If we do not get Genesis right, we cannot get the rest right on this topic. Today is our 52 anniversary with three children and ten grandchildren. Kaiser mentioned the words in several translations of Genesis 3:18, but I like the word “companion” in the Living Bible which implies ‘friend’. A friend does not have ‘rank’, ‘role’, or ‘position’, but is an equal. Wade, I anticipated the post today with joy, but was rather disappointed after such great comments of the ladies in the previous post. In fact, I put Lydia’s comment of Sunday July 5, 2:19 AM on our church bulletin board. Kaiser makes a good point about Freedman telling about the Hebrew word meaning “to rescue, to save”, and “to be strong”, but to reference 1 Corinthians 11 is anything but good. I realize the problem that inerrantists have, but I believe God didn’t hold the writer’s hand and sometimes Paul whistled through his hat and it’s the work of the Holy Spirit to teach us when he did. Of course TLB and any other translation is to be discarded when it so seriously mangles the Greek as to either add to scripture, removes from scripture, or twist scripture. The fact remains that in Greek there is no "over" in "power on her head", and any competent Greek scholar will tell you that it is her OWN power, not someone else's. As for "two heads", show us where scripture ever says Christ is the woman's head. She still doesn't have two! Again, what did Jesus say about having to MASTERS? I wish some of you people would just drop the silly word games; we're not falling for them. This works best when we find passages we don't like or don't fit our desire to be who we want to be. From an inerrantist who disagrees with you and all others on the subject that w woman should want to place herself under her husbands authority, not because he makes her but because she sees God's design and appreciates it and receives the blessings from it. Not listening for the Holy Spirits whistle to show me where scripture is wrong. I wonder what the next installment of biblical errors will be. Man I need to watch more Oprah to keep up with you guys (gender neutral word). That's called a straw man argument. No inerrantists that I know believe that. and sometimes Paul whistled through his hat and it’s the work of the Holy Spirit to teach us when he did. Ain't it the truth? Ain't it the truth??!!?? In my previous comment, when I said "no inerrantists I know believe that" I mean that no inerrantists I know believe that God did hold the writers hand. You may not believe me but there is a very real sense in which I would agree with you about "pastoral authority". My family and I have just left a church that was not elder led but elder ruled. More speicifically, it was senior pastor ruled with a bunch of yes men. It became apparent to me that the senior pastor had questionable integrity and there was nothing the congregation could do because they were not allowed to vote on anything. I'm not opposed to going to an elder led church but only on the condition that there are sufficient "compensating controls" (auditor term) to mitigate the risk of one man taking over and the elders not being accountable to the congregation. I don't normally recommend any reading from my own faith, HOWEVER, in YOUR case, it might really help. You know how 'conservative' my Church is as it is taking millenia to sort out the dignity of women, but we are very slowly 'getting there'. So, give it a try, if you have time, and you will find the salient points in this reference that apply to the topic at hand. In any case, of course, always respect your own views as 'your' perspective. Have you considered the possibility that "God didn’t hold the writer’s hand" is a rejection of either the verbal plenary or dictation theories of inspiration? I am told there are differences between them--that verbal plenary allows for personality differences between writers while somehow insuring that God stands behind each and every word, phrase, and sentence in its fullness, while dictation is virtually the same as "automatic writing," which does not allow for any individuality on the part of the Biblical "authors." In practice, I find it difficult to distinguish between the two, however. Whether or not there is a difference in the distinction however, it seems to me that either could be described as "God holding the writer's hand." I'm sure most mainstreamers such as Rex Ray and Wade would agree with you. Yes sir, it is truth. I am completely comfortable with you telling me I have missed the truth. I am not offended, nor does it threaten me. The woman should want to place herself under her husbands authority. The problem is a skewed concept of "authority." Where there is a genuine sense of equality, respect and honor - from both the husband toward the wife and the wife toward the husband - there is no concept of "authority," but rather the dignity of mutual respect and servanthood (Ephesians 5). This is where I believe your interpretation of Scripture is flawed, and quite possibly, the relationships you have with your spouse and congregation suffers. However, this does not cause me to wish to separate in fellowship with you, call you names because you disagree with me, or question your conservative credentials. Rather, it is one of those areas that I believe we should discuss with mutual respect and simply agree to disagree. The woman should want to place herself under her husbands authority..
Perhaps you should go back and re-read the comment thread. The statement you assert that I wrote was not one that I wrote. In fact, it was Jon L. Estes who wrote "The woman should want to place herself under her husbands authority." My whole view of "the church" is not "what can we get away with and still call it God's work", but "what is the ideal we should strive for". We used to sing an old hymn, "Give of your best to the Master", yet somehow we never did that as a church. It was only "what we've always done" or "thousands of years of church history can't be wrong". We tend to compare ourselves to ourselves instead of the highest standard of scripture. And what I see there tells me that when Jesus said "neither here nor on this mountain", and "where two or three are gathered", He meant it. The walls we build, figurative and literal, are only comfortable prisons instead of the open pastures Jesus promised. Do you agree with Jon Estes'? "One of the traditional passages that's read in this context is an excerpt from the Babylonian Talmud which lists duties which have no limit, such as leaving crops for the poor, acts of lovingkindness, honoring one's parents, and bringing peace between people. The reasoning is that the study of Torah will lead to righteous acts; therefore, study is the highest mitzvah, equal to all the rest. Being an inveterate geek, I'm delighted that the standard morning ritual involves some studying (however cursory it might be), and doubly delighted that studying Torah is considered to be the highest thing we can do. I like the implication that study will necessarily lead to righteousness. As the Babylonian Talmud also records (in Tractate Kiddushin 40b), the rabbis are said to have debated, "Which is greater, study or action?" Rabbi Akiba said, and the sages agreed, "Study -- if it leads to action." Here's an interesting detail, though. That last phrase in the ritual-study passage, " v'talmud Torah k'neged kulam", is translated differently in each standard denominational siddur. Gates of Prayer reads "and the study of Torah is equal to them all, because it leads to them all." Sim Shalom reads "and the study of Torah is the most basic of them all," and The Complete Artscroll Siddur reads "and the study of Torah is equivalent to them all." That tricky word, "k'neged" , seems to inevitably be a sticking-point in translation. "ezer k'negdo": "an help-meet for him," or "a suitable helper-for-him," or "a partner equal-to-him." Clearly, how one translates k'negdo has some impact on how the Biblical story of woman's origin reads. Personally, I favor the "partner equal-to-him" translation. I also favor translating the end of that morning Talmud passage as "the study of the Torah is equal to them all." (I'm not fluent in Hebrew, but at least I'm internally consistent.) One way or another, I'm with the tradition on this: study is righteous stuff. Here's to it." I certainly affirm that men and women are equal in value, but one problem I have difficulty with is the assertion that men and women are equal in every other capacity including societal and familial roles. If this is true then why are men and women created different. They have a different skeletal structure, a different muscular structure, and research shows that testosterone and estrogen wire the brain differently depending upon which one is released during fetal formation. If God intended a women to occupy any and every role that man could occupy, then why did He not simply create them the same. Even nature reveals to us that God created male and female for different roles. Perhaps what the real problem is, is that historically men have devalued the role for which women were created and now women feel that they must occupy those roles in order to be valued. No, women are not trying to pay back, or anything like it. All we're after is the "one anothers" of scripture, the mutuality that is repeated many times in the NT especially. While it is true that hormones affect brian development in the fetus, it is not true that this results in a difference in thinking, emotions, capabilities, or intelligence that cuts across culture and time. In other words, in order for something to be true intrinsically, there can be not even one exception. And as any online conversation will show, you can't tell men from women when you only have their written words to go by. The differences between men and women are purely physical. Our non-physical differences are not due to gender but to personality and culture. And let me ask you this: was your right hand created to serve your left hand, or are they equal and complementary? So it is between male and female, per scripture, per Genesis 1. And as we have asked numerous times, where do you see "roles" in scripture? Where do you see "manhood" and "womanhood"? I see "male" and "female", something we can tell at birth, before personality is known. So no, nature does NOT reveal roles at all. You wrote, "I'm sure most mainstreamers such as Rex Ray and Wade would agree with you." That is a rather odd reply, especially since I was not trying to "win you over" to anything. I was merely offering a potential clarification for a sentence in Rex's comment. I was not asking you to agree with anything--except what his comment suggested to me, and I thought a re-wording might help it more understandable to you. I get the feeling sometimes that all of us learn to expect certain replies from certain people, and onsequently, we respond to what we expect them to say, rather than what they actually say. For example, I expect Jon to respond as a complimentarian, and I expect you to respond as a fundamentalist--and I attach no value judgment, positive or negative, to either of those labels, I am using them to just describe an expectation. By the same token, you (probably? possibly?) expect me to respond as a moderate, a "liberal" (so-called), or a mainstreamer (your label, not mine), and consequently read my comments through that lens, and apparently Wade's as well. That is the danger with presuppositions and assumptions about people--we hear what we expect to hear, not what "they" actually are saying. It is a downward spiral, and leads to even greater polarization. Tell you what: I will try to read your comments as they are, not as I expect them to be, and hope you will do the same for me. Again: I was merely offering a possible clarification which might lead to more understanding, not arguing (or debating) with you. NYT > The Clueless Wives Club. When Bernard Madoff was sentenced last week, Ruth Madoff, who has been married to him for nearly 50 years, issued a statement saying that she did not know of his fraud until just before his arrest. Several of the wives in the political marriages rocked by disclosures of infidelity, including Jenny Sanford, seemed to have been in the dark for years. Assuming these women didn’t know, were they particularly blinkered, or do these cases show the limits of knowing another person, even in the most intimate and long-term relationships? Or is this simply how partnerships are set up in this culture? 1. While reading Old Testament interpretations can be helpful, I strongly advocate interpreting the O.T. in the light of the clearer N.T. The clear Christ in His person/work/teaching [who was pointed forward to by the less clear shadows and figures and promises of the O.T.] is revealed therein--N.T. * This is why I reject the idea that the Bible should be interpreted in the light of the Christ [of wax] since there is NO HIGHER REVELATION of Christ than what is revealed in the N.T. by which to interpret the Bible. Philip was wise to interpret Isaiah in the light of the coming of Christ in Acts 8:32-35. We no longer have Philip. However, we do have the fixed N.T. word where Christ is revealed. Even though the Bible begins with the O.T., it is still wrongheaded [in my opinion] to lay the foundation of one's argument from solely the O.T. without allowing the N.T. to guide one in one's O.T. interpretations. To do this is to not make use of the clear[er] N.T. 2. Regarding Ephesians 5, it seems to me that there is a division on whether verse 21 should be read in the light of verses 22-33 or vice versa. 3. I think those arguing for the meaning of "head" in Ephesians 5 need to show how there meaning fits in with the LOGIC of what Paul is saying. Try substituting the meaning you advocate for the word "head". For example, how does it work to say "Wives, submit yourselves unto your own husbands, as unto the Lord FOR the husband is the source/savior/authority/__________ of the wife"
4. Something I've noticed that I hope helps in how you interpret Eph. 5. It seems that Paul takes the language in verse 2--"Christ also hath loved us, and hath given himself for us"--that seems to apply to everybody and applies that to husbands within 22-33. It also seems that Paul takes the language of verse 21--Submitting yourselves one to another in the fear of God--that seems to apply to everybody and applies that to wives within verses 22-33. To be more specific concerning my last point. Compare Eph. 5:2 with 5:25. Compare Eph. 5:21 with 5:22,24. I don't quite see what point you're trying to make, but I will comment on the "NT interprets OT" idea. When the NT is ***interpreting*** I agree that's the right approach. But when the NT is ***appealing*** to an established, already-understood principle or event, then that principle or event must be seen in the OT reference on its own. For example: in Paul's writings he appeals to creation order in a context of ***deception***, not authority. There are two possible ***interpretations*** of the connection Paul is drawing. One, that he is countering the pagan teaching that man came from woman, and two, that he is saying the reason for Eve's deception is that she was created last. He is NOT ***interpreting*** Genesis but ***appealing*** to it. To say Paul is ***interpreting*** Genesis is circular. If we need to check Genesis to see why Paul appeals to it in the letter, then presume the reason we wish to see and read it back into Ephesians, that is a circular argument. Rather, since Paul said "For..." it is an appeal to what the readers already knew was there, and what is NOT there is authority but only deception due to Eve being made last. Now the question would be, what is it about being made last that causes deception? Experience. Eve did not have the first-hand knowledge of God's creative power as Adam did. She didn't know she couldn't be like God, whereas Adam knew it very well, because He knew God created Eve from him. I'm sure you disagree with my interpretation, but it is consistent and plausible. And since one interpretation is no more authoritative than another, and since both views can be supported by scripture, then we should at least be able to agree that this is a matter of personal conviction. I don't think 1 Timothy 2:13 is merely an appeal. I believe it is a straightforward interpretation as well. Some might interpret Genesis differently than Paul to say that "Adam was first evolved, then Eve" [I don't know]. Just because something is plain to us does not mean we do not interpret. If I pick up a stick, I might say "I picked up part of God's creation". That is my interpretation that comes after and is based on God's prior interpretation in the Bible [i.e. a stick is part of what God created]. Someone else might interpret what I did by saying "you picked up part of that which evolved". 1 Timothy 2:14 is an interpretation that is not as clear from the Genesis account itself in my opinion. However, I believe it because it is N.T. interpretation. In 1 Tim. 2:13, the only thing we have to go on is Paul's connection between chronology and deception; that's what he clearly says, point blank. Eve was created second and was deceived. Neither Paul nor Genesis says anything about authority regarding Genesis. First Paul talks about a woman who is not allowed to teach. Then comes the "For" or "Because": Eve, the second human, was deceived. He is citing creation order as the justification for this woman not to teach, and he ties it to deception alone. The way we know there is no interpretation going on here, is by noting that Paul has added nothing that isn't already in Genesis, for Genesis tells us that the woman was made last and that she was deceived. Rule between humans is not mentioned in Genesis until after sin, and the only Greek word for authority in this NT ref. is epitrepo (lit. "jurisdiction") to teach. The word authentein, used only here in the entire NT and rare in classical lit. of the time, is not one of those words. The scholars know it had something to do with murder or violent overtaking, and with unlawful control. That Paul uses a different word for the teaching part is significant; had he wanted to forbid her from any and all teaching of men, rather than the false teaching the whole letter is about, he would have used a normal word. But aren't we missing the forest for the trees here? This passage, as you know, is admittedly one of the most difficult in scripture. To base an entire male supremacist dogma on a few select difficult passages is inadvisable at best. The whole of scripture concerning what Jesus came to do, His examples, and the teachings and examples of the apostles, is of unity and brotherhood in Christ. All the old divisions are now gone; "there is no Jew nor Greek, no slave nor free, no male and female, for you are all one in Christ Jesus" (Gal. 3:28). This same Jesus said "not so among you" and laid privilege down for us (Phil. 2:5-11). He spoke openly to women as full adults, never demeaning them more than men. What kind of Christian wants to cling to first place in line, even if they think God granted it? I tire of hearing "Oh, we aren't being proud, we're just accepting this heavy burden placed upon us by God." Baloney. People who are truly servants don't try to keep other believers from serving as well. Humble people don't talk about places or final say or have a conniption about a woman teaching the truths of scripture to men. The flesh is flesh, and the spirit is spirit; either we are in the flesh or we are in the spirit. To think that God would base spiritual things on one's reproductive organs, in light of all the very clear NT scriptures to the contrary, is so out of step that I cannot fathom how so many believers see no problem with it. Does Jesus say "freedom" only to men? Does God say "I look on the heart" only to men? Then why would anyone think He'd have changed His mind in the NT to a lower, flesh-based system than the OT? I'm not sure how what I said caused you to say all that you said, but it's cool. Jesus in Matthew 19:5 merely appeals to Genesis by quoting from Genesis. Jesus gives a straightforward "interpretation" of the Genesis passage in 19:6. Paul is not "quoting" Genesis. Genesis never "says" God made Adam "first". Genesis describes God making Adam, then Eve and Paul interprets that description by saying "Adam was 'first' formed, then Eve." Yes, it is a very, very, very, very easy interpretation to make, but it is still an interpretation. You might bump into someone who claims to REJECT logic. They might interpret Genesis differently than you and I do. However, at this point allow me to tip my hand a bit in how I interpret the New Testament concerning gender. What I am about to say is simplistic, but I want to make a basic point. I think egalitarianism makes marriage too generic. I see an emphasis in the New Testament for husbands to be tender towards their wives and wives to be respectful towards their husbands. To go against this is to go against the grain of who a man and a woman is in my opinion. I think wives need to feel the freedom to go to their husbands and say "you hurt me when you said ___________". I think husbands need to feel the freedom to go to their wives and say "you offended me when you said ___________". To not have this freedom in a marriage is to ask for some possible fireworks to go off in my opinion. 1 Peter 3:7, Eph. 5:28-29, 33. Sorry for any misunderstanding. I moved from a specific answer to your comment to a general rhetorical frame without explanation, because I was taking the specific details to their logical conclusions. I don't see an interpretation there. Paul is not "quoting" Genesis. Genesis never "says" God made Adam "first". Genesis describes God making Adam, then Eve and Paul interprets that description by saying "Adam was 'first' formed, then Eve. Genesis "reports", is that better? And since Genesis reports creation order, and Paul does not give a different order, what is he interpreting? I don't see your point here at all. I think egalitarianism makes marriage too generic. I think non-egals make all humans too generic: all men are this while all women are that. The real issue is personality differences and social differences, not divinely-ordained differences. I celebrate the differences between people-- just people. In a healthy marriage, each spouse should give and receive both love and respect; neither should patronize the other, or belittle the other, or otherwise mistreat the other. It is nothing but a myth that women need love more than respect, and men need respect more than love. People are people; we're all human. Egal. does not homogenize them as non-egal does, but simply recognizes what God created: male and female humans, each with a unique package of personality, gifts, talents, and abilities. This is what I would call "freedom" in marriage. We are free to be us, without having to play roles that society, not God, invented. God sees us all as His children, equal in salvation and service. When we learn that other of God's children are not beneath us or above us, we will truly be free to serve. Joe: The story you told of your experience in being in a church that was elder ruled is the same thing women have lived with since birth and into adulthood, marriage. Welcome to a glimpse of the daily world of women in the church/Christian home. "I don't see an interpretation there." Then I guess we have a different interpretation. "People are people; we're all human." Yep, and some humans lead others in formal dances. I wonder what an egalitarian dance would look like? "We are free to be us, without having to play roles that society, not God, invented." Kinda gets to sounding like the old children's "nature vs. nurture" debate, eh? And I wouldn't call the nature/nurture debate "children's". But seriously, this matter of women in Christianity is no fad or joke. Women have been forced to use their "forbidden" spiritual gifts in the shadows, told that the very desire to serve as God has gifted them is sin, and told over and over that they are behind half the Body simply due to the flesh. The teachings of patriarchy cost women jobs and sometimes lives, stifle the Spirit, and turn women into manipulators because they aren't allowed to appear to lead. Maybe it reveals an unequal understanding of how to word that sentence. Yours being superior to mine. "Did God ordain that men lead in dancing? ;-)"
Hey, you're the one wanting equality. We could spread that equality out further. Women opening the door for men and vice versa. Women pulling out the seat for men and vice versa. Women bowing the knee to kiss the hand of men and vice versa. Paula, I can see where the stakes are high on which side [or sides] one comes down on the "gender" debate. However, let me make this one statement and then I might let you have the last word. Perhaps we should all recognize that not every complimentarian is power hungry and not every egalitarian gets beat by her husband. We could spread that equality out further. Perhaps we should all recognize that not every male should lead and not every female should be barred from ministry, or making final decisions, or leading in dancing if they want. "...or leading in dancing if they want." "If I didn't know better, I'd say you were a mocker. ;-)"
I am mocking a perspective. Personally, I think the Prince leading Cinderella in the dance symbolically reflects something of a healthy marriage. Paula's assertion: "The differences between men and women are purely physical. Our non-physical differences are not due to gender but to personality and culture." Knowing that my comment will likely draw nothing but ire from the above asserter, nevertheless I have to say I am struck by the sadness of such a view, and I (hopefully) say this without an ounce of condescension and/or of shibbolethic chauvinism. It's almost as if the obviousness of the "purely physical" differentiation in maleness and femaleness is somehow insignificant in the grand scheme of Trinitarian creation and image-making, as though the very nature and character of the Godhead were not, in profoundly fundamental and creatively wise ways, revealed in this "purely physical" differentiation. Though unhappily for some, it decidedly is. And further, to assume that God's self-revelation in the "purely physical" is somehow of lesser importance than the non-physical, owes more to Plato than Paul; and to pejoratively suggest that gender differences are the bane of "personality and culture" owes more to Skinner than Scripture. If, Paula, you acknowledge any ontological differentiation in the Godhead, and subsequently, in the way the Godhead has deliberately chosen to self-reveal, it might be good to reconsider the truthfulness, and theological fidelity, of your assertion. Explain to me, Timotheos, how ***One*** can have ontological differentiation. If you mean that God cannot be a Trinity unless the three Persons have rank differentiation, I'd explain to you that this very hierarchy would amount to the heresy of Tritheism. The very definition of the Trinity requires ontological unity among three Persons whose distinctiveness exists simply because it is there. Did you know that the pronoun for the Spirit is feminine in Hebrew and neuter in Greek? Just asking. Please show us all where scripture exhibits any kind of non-physical "role" before sin. I realize I ask this in vain, but it bears repeating given your clear belief that such a scripture exists. Call my view what you wish, and presume my reaction if it suits you, but if you try to model husband/wife after the Trinity, you are on very dangerous ground. And where is the Holy Spirit in such an analogy? Is the husband playing the role of Father to the wife's Son? That is not only disgusting but blasphemous. PS: We can play "big words" all day, but it will neither impress nor amuse me. Just FYI. I haven't seen that many 50 cent theological words since my last bull session just before my systematic theology final back about 1986. I'd comment. . . but when I got my doctorate, they promised me I'd never have to think again. I think it's in the fine print. If you will forgive me, I am presently whispering sweet (50 cent) nothings in my wife's ear. I will rejoinder you in the morning, Deo volente. Just dealing with the texts in today's post ought to give some of you pause and is enough to keep you busy. None of you men have dealt with the original post and it's text. I did see a Baptist dance in church once. He was singing a solo and he just broke this move out. My Dad had John Eddins [I hope I spelled his last name right] for systematic theology when he went to Southeastern. Is that who you had? My Dad speaks well of him. The Bible tells us to use our gifts in proportion to our faith. My faith seems to be more than some men allow me. I am thankful for a husband who opens the door(metaphor) wide for me and has always said go for it. Careful with the "leading the dance" notion. Personally, I think square dancing is a closer analogy to the scriptural principles of marriage. Neither the male nor the female dancers lead in square dancing; the caller does. The healthiest Christian marriages I've ever seen are those in which husband and wife display the intricacy and beauty of both partnership (them as a couple) and community (the other couples) as directed by their Caller. IMO, much healthier than a fairy tale that draws on a sick and cruel family situation, a helpless woman, and a royal person more interested in physical beauty than in the substance of his potential bride. And a protocol note: Cinderella would have been required to curtsey to the prince. I will admit that THAT appears to be a good analogy to patriarchal expectations. It's all about rank, so long as it's the man who has all the rank. This is a beautiful post and brings out the meaning of the original language so well. Kenegedo occurs again in the Hebrew Book of Formation when it describes the two hands, one is kenegedo to the other. The feet also are kenegedo, so the implication is clear, equal and corresponding. The word for Eve, ezer, is translated into Greek as boethos, and was used by the early church in prayers to Christ. The word prostatis, used for Phoebe has a masculine form, prostates, and this also is used in prayers to Christ. But Christ our boethos and prostates is translated "champion and defender." Αυτη η οδος, αγαπητοι, εν η ευρομεν το σωτεριον ημων, Ιησουν Χρστον, τον αρχιερεα των προσφορων ημων, τον προστατην και βοηθον της ασθενειας ημων. Founders Ministries Blog > How are you celebrating Calvin's 500th?. Yes, I had Dr. Eddins for ST as well as a couple of other theology courses. I also had Dr. Robert Culpepper for a theology course or two. Top notch, both of them. First, forgive me for presuming to know your reaction - I sometimes think I know things that, in fact, I do not. I still think your statement is very sad, but perhaps that is just my own problem. Second, I'm glad you were neither impressed nor amused, as I intended neither. I am scratching my head over the idea of me playing "big words," bull sessions and such. Maybe you are referring to the use of "ontological," which I had thought was a mere 25 cent word. I'll have to bump that word up a category or two and try not to use it too much. You and I probably both agree that God is - in and by nature - One. But the nature of being also concerns itself with categories (or kinds) of existence, and relationships sustained within existence. God occupies an admittedly unique place in all of this, and in the beginning of all things, it was both desirable to Him, and necessary for us, that He reveal the nature of His existence and the relationships He sustains in His existence, through "making." And we see in what He has made that though the Godhead is by nature one, it is not then of necessity egalitarian, non-hierarchical nor undifferentiated in the relationships it uniquely sustains in its "Godhead-ness." Pure male and female physicality constitute together (if not in whole, at least in part) the image of God in man. Ontologically, God is, within the relationships He sustains to Himself, differentiated. A male is not a female - physically or otherwise - and vice-versa (though they are both obviously human). Their purely physical differentiation is itself, by active divine self-disclosure, an image of ontological differentiation, alone peculiar to God's nature but now made known through His creative wisdom. You ask: "Please show us all where scripture exhibits any kind of non-physical "role" before sin. I realize I ask this in vain, but it bears repeating given your clear belief that such a scripture exists." I am unsure why you think your question is asked in vain, as the answer is apparent: by the very fact that God created the woman out of, and for, the man (as opposed to "of the dust of the ground"), divine intention is revealed. Woman is from, and oriented to, man. Man is from, and oriented to, the earth. The curses which God imposed upon the man and woman address them, as they were, in their pre-fall, but differentiated, condition. I realize the above statements require a thousand qualifications to make clear what I am NOT saying, and you may easily draw conclusions which I do not hold - such are the limitations of this medium. Already I sense I have over-stepped the tolerable length of a comment, so I will leave things as they are. Roles in scripture are clearly defined by our creator in themake-up of the triune Godhead. God the Father, Son and Holy Spirit are equal but their roles are different. When the Son submitted to the will of His father He did not make Himself any less than He already was but what He did demonstrate is that when we line ourselves up under God's order, it is a blessing to Him and to us. If all believers are equal in role and there are no roles in scripture for mankind, then the child is under no obligation to obey his parents. None make any of the persons over anothrer better or greater in God's eyes. I can't make anyone understand the roles found in scripture demonstrated by the triune God head but I can refuse to culturalize this issue because it is socially expedient (or some other sad reason). So I will only briefly address a few loose ends, then it's back to ezer. First of all, you have been asked repeatedly to show "roles" in the NT and have not. Time's up on that one. Second, your statement is a non sequitur. Childhood is not a role to play but a temporary situation of dependence and vulnerability. Children grow up, and then they are no longer under either the rule or protection of their parents. Women, on the other hand, can never "outgrow" the second-class status men try to impose upon them. They are essentially treated as perpetual children if they can never be fully-independent adults, since they have to have a man's permission to do this or that. The reason you can't make anyone understand roles in scripture is because they do not exist. As for your statement about culture, remember that the great bulk of human history shows a culture of patriarchy. THAT is "bowing to culture"! Slavery has also been the norm, but yet I don't hear you trying to defend it as God's divine order (though "Christians" of the past did exactly that, and with great zeal), and I don't hear you claiming that the church today must be bowing to culture since it agrees with that culture about slavery. I despair of ever getting a straight answer from male supremacists about whether marriage is exempt from "not so among you", "treat others as better than yourself", "do to others as you want them to do to you", etc. etc. etc. Mutual submission is taught expressly in scripture. Now to the post topic. Can either of you deny what Wade wrote about Eve being the same kind of ezer as any man, or God? That is, can you refute his argument that Eve was no secretary or underling? "None make any of the persons over anothrer better or greater in God's eyes." Of course not because God has no such rules or roles. But it does in man's eyes and that is the sin trap you all have created for yourselves. As Debbie said, you all are ignoring the content of this post and merely touting beliefs that make you preeminant over a wife and others in the Body by way of the same type of exeigsis. Show me one place in pre fall Genesis where God makes it clear that Adam is in authority over Eve. Your view is simply read into the account. I could make a silly point that Eve was created last and therefore more important. But that would be reading into the text. Timotheos wants me to believe that creation materials are relevant to status and position in the Lord. As if the man receives the Image of God from the dirt. The only thing these views teach are the consequences of sin as the way to live a Holy life. That is insidious. The creation order taught as proof of male "authority" is not that different than the belief of primogeniture...(As Piper teaches on creation order) first born son or even the divine right of kings. But neither make sense as we know that God frequently passed over the first born. And He was angry the Isrealites wanted a king as HE was their King. If we need 1 Tim 2 in order to understand that creation order in Genesis means preeminance for men, then what do you do with Deborah? Seems women had more freedom in the OC to prophesy and be in leadership. One exception proves there is no rule. It would also mean that for thousands of years, no one could rightly understand Gen 1 and 2 until Paul wrote 1 Tim. And since you believe that 1 Tim is teaching preeminance or male supremacy based on creation order, how do you interpret the childbearing reference in that passage? Is she really saved by bearing children? Or, is that a veiled reference Paul is making to a 'role' for all women for all time? What about those women who cannot bear children? What do we do with the Proverbs 31 woman who was making decisions in business on her own? We see nothing about her consulting her husband before spending her profits to plant a vineyard. Perhaps you read his permission into the text? How does her 'role' compare with the specific 'roles' we are told are somehow found for all women in Titus 2 for all time? What I find particularly interesting is Paul's advice about marriage: That we can serve the Lord better if we are single. What about those women who never marry? What are their 'roles'? Many patriarches claim they must stay under their father's authority and serve him. How are these women to know their roles biblically? "I despair of ever getting a straight answer from male supremacists about whether marriage is exempt from...'treat others as better than yourself'"
Actually Paula when the male bows his knee to kiss the hand of the female, that seems to be an expression of treating her as better than himself. I guess I should not teach my two boys "ladies first", but "equality" in who opens the door for who. I also guess it would be wrong to teach them to not hit others and ESPECIALLY a girl. I have never bowed the knee to kiss the hand of my boys. I have bowed the knee to kiss the hand of my daughter. Wow, male supremacy just gets more and more extreme, eh? Benji, you're a mocker. You keep going on about culture and fairy tales, making light of a very real and evil force in the churches. Since you can't or won't take this seriously and examine scripture instead of culture, and since you think women's oppression by Christianity is a joke, I'm going to have to ignore you. I know that breaks your heart but you asked for it. Evangelical Feminism and Biblical Truth by Wayne Grudem. Some may think I ought to read your sources but time and energy will only go so far. Wayne Grudem has the credentials to speak authoratively on this subject and can do a better job than I in communicating the truth. Will any who see it differently change their position... probably not. 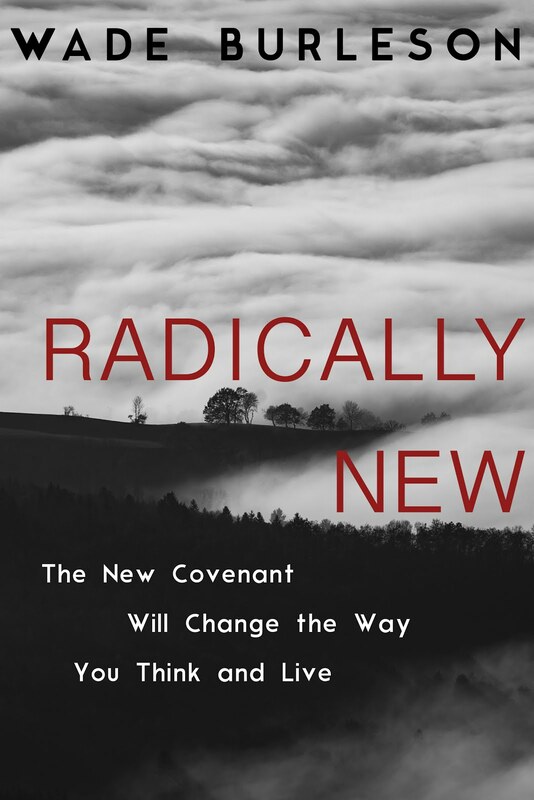 Grudem speaks and writes and discusses this subject with other scholars (Mohler, Piper, Begg DeMoss... among a few) and lays out the truth very well. I hope Sue will post some of what she knows about Grudem. Not too pressed for time to post here, but can't be bothered to read anything in-depth from the other side? "a royal person more interested in physical beauty than in the substance of his potential bride." That's right Mary R. The prince was seeing the physical beauty and not the [feminine] beauty of Cinderella. I guess we should take it that next step. Let's teach little children that the moral of Cinderella is "every guy has a little bit of dog in him". Speaking for myself and not Jon, I have no wish to deny the substance of Wade's post, nor to refute the bogus assertion that Eve was Adam's "secretary or underling." I understand your antipathy in this regard, and share it. What Wade wrote concerning Walter Kaiser's exegetical insight is very helpful, but I do not see that it substantively changes the explanation I gave in answer to your questions, nor does it undermine what I believe to be divine intention in revealing Himself as He did in the creation of male and female. This can be spun into a thousand unfortunate, unpleasant "what-ifs," but that is not a game I wish to play at present. Anecdotal horror stories regarding the use and abuse of "beverage alcohol" do not negate the Bible's full-orbed teaching on both the goodness and danger of wine; neither do anecdotal horror stories regarding the use and abuse of women by men negate the Bible's full-orbed teaching on God's intentions to display His image in man by creating the distinctly differentiated male and female as He has done. Suzanne's Bookshelf > Response to Grudem's Open Letter to Egalitarians. Women In Ministry > Wayne Grudem’s “An Open Letter to Egalitarians” and “Six Questions”. Women In Ministry > Wayne Grudem - answering part 2 of his “Open letter to Egalitarians”. I don't think that's necessarily a bad thing--Elijah. "Since you can't or won't take this seriously and examine scripture..."
I gave you 1 Peter 3:7. You went on to say "The real issue is personality differences and social differences, not divinely-ordained differences. I celebrate the differences between people-- just people." Personally, I think 1 Peter 3:7 clearly teaches that a woman is feminine by nature. You seem to think they are "just people." I think you might want to take heed when you think you stand lest you fall when accusing another of not taking the scripture seriously. I truly understand when arguments and discussions in theology get side tracked and sneering/mockery takes place. I do not agree with it, but I understand what causes it. It's ok to differ in theological understanding and interpretations. It is ok for lots of people for now to believe in patriarchy in SBC. But you can not ignore the voices of others who are slowly waking up. The only way the current supporters of patriarchy can suppress others from questioning is from stopping or preventing women from getting educated or more importantly asking questions. This inexorable tide can not be stopped. The genie is out of the bottle. Once women are allowed to be educated and freed to ask questions, then these barriers to patriarchy will fall. It is only a matter of time. Of course, nothing is sure about the future. History can repeat it self. Also women can be subjugated and suppressed. It is already happening in some countries/societies. All we can do it keep asking questions and finding answers. That "bogus assertion" is standard male supremacist fare. It is the core teaching of the likes of Ware, Grudem, CBMW et al, who are pushing this teaching aggressively. And I saw nothing in your comments anywhere that addressed the ezer kenegdo issue in the slightest. We're supposed to be talking about what Genesis says about Eve, not the whole scope of male supremacist theory. As Lydia pointed out, if we cannot understand Genesis without Paul, then nobody before Paul could understand it, and thus they all had a wrong view of it. Your dismissal of the suffering of your sisters in Christ as "anecdotal horror stories" is exactly the mentality that God Dr. Klouda fired, that excused the hushing-up of the many predators in the SBC, and that continues to enable such "horror stories". Your cold-blooded attitude is what I find truly "horrible". Obviously, I'm through "dancing" with you too. "Personally, I think 1 Peter 3:7 clearly teaches that a woman is feminine by nature. You seem to think they are "just people." I think you might want to take heed when you think you stand lest you fall when accusing another of not taking the scripture seriously." I would do an indepth study of weaker vessel if I were you. It cannot mean what you think because I am 5'11 and could beat up Russell Moore with one hand tied behind my back. If the bad guys come, I would have to protect him! But if Russ has a gun, it does not matter his size. Does that make me unfeminine? God designed me to carry babies. Even at 5'10. Tell me, Benji, is your definition of weaker vessel really a damsel in distress? What if your wife outlives you? How will she cope if she cannot make hard decisions or protect herself? God made me that tall and I am not a weaker vessel (as per your definition) when I am standing next to Moore. Now, in the 1st Century, I would be a weaker vessel at 5'10 because I would be uneducated, socially inferior and completely dependent on my husband or father for sustanance. They would be my meal ticket. If you do not believe me, just read about the plight of widows in that culture if their family did not take them in. So, I guess there are some exceptions to that interpretation of weaker vessel as damsel in distress specific rule? Opening doors for women, kissing their hands, etc., is a wonderful cultural characteristic of deference. We should all be serving one another and making others more important than ourselves. I'm continuing to get ignored, but I'm going to jump in here anyway. What woman in the Bible would you consider weak by your definition gentlemen? Mary, Martha, Deborah the Judge? Rahab who hid the spies? Ruth who lost her husband and along with Naomi traveled by foot? The women who Jesus appeared to? Who exactly in the Bible is weak. John the Baptist's mother, Christ's mother Mary? All this leaves me glad to have left the Baptist fold. Glad to have the freedom to recognize both the fact that women truly are equal with men, even if they freely choose to fill the "traditional female role", and that they are not limited to it. I think the biggest problem in this whole debate is the concept of "authority." As I read the scripture (fallibly, I know!) a leader leads. So if you want to be great, you become a servant. We have had SOME men think maleness gives them rank and boss status. And unfortunately we now have SOME women aspiring to rank and boss status. May I humbly suggest both of those groups study the history of women in the holiness movement. There, the traditional male roles are not denigrated. The traditional female roles are not denigrated either. A man providing and leading are respected. A woman who chooses freely to submit in order to uphold him is respected. But it is also understood that it is God that ordains. That means if He gifts and uses a man to nurture, or a woman to preach and lead, you just don't argue with God. Everyone, male and female, is expected to obey God. And in short order it becomes very clear who is serving and leading, and who is posturing for status. And both males and females fall into both groups. I am and have always been his equal. But serving him and submitting to him allowed me to lead him to Christ. Submission was a tool. Now that we are on the same team, we still have different jobs. No job ranks higher than another. My piano playing does not outrank his grounds keeping. His leading in services does not outrank my teaching in VBS. There is only One with authority and status, and that is Jesus. So men, whether comp or egal, if you believe you are called to lead, roll up your sleeves and change a diaper, cook a meal, change the oil in the car, go to work, and do it all for, with, and teaching about Jesus. And ladies, if you feel called to lead, do the same. This talks about the 'Girls Have Cooties Crowd" (guess what charming group gets THIS label), and references Wayne Grudem, Ware, and the Arian Heresy. It also mentioned the well-known Suzanne McCarthy who has graced today's comments, in defense of the correct interpretation of ancient languages. I hope this reference to the article helps those who are tempted to fall into the Arian Heresy, which has been used by Grudem/Ware to shore up their 'biblical' teachings on women's subordination. it is a SURE SIGN that these men will do anything to keep the 'fairy tale' of women's inferiority going. For me, it is the nail in the coffin of their pitiful arguments: using an ancient known heresy to justify and continue the equally ancient injustice against the dignity of women. L's, if you posted like that all the time, a lot more people would be interacting with you. It made a clear point and made it well. "Wayne Grudem has the credentials to speak authoratively on this subject and can do a better job than I in communicating the truth." I hope readers here will check out the links provided that refute this claim. The thing is, Grudem calls for egals to answer his questions, they do, and he ignores them or uses the same old tired responses. I have noticed a pattern with comp/pats. They refuse to engage in content of interpretations. The thing that worries me about Grudem is that he is more than willing to omit parts of quotes from Greek lit in order to prop up his position on certain Greek word meanings. Suzanne points this out when she uses some of the entire quotes on her blog. Grudem is more political than he is a scholar. "This entry was written by Suzanne McCarthy, posted on December 15, 2006 at 7:32 am, filed under Bible Translation." No wonder it's such a good article. Suzanne goes right after the nonsense, no-holds-barred. Terrific! "I followed the teachings of Peter regarding wifely submission for over 30 years with an unsaved husband. It is my distinct pleasure now to watch my saved husband lead in the church (same man!)" I have a dear friend who did the same and after 20 years saw her husband saved. However, she certainly did not obey when he wanted to stay home from church many times to be with him. Or forgo bible study with her children. One reason is because she understood what submit means. It was her devotion to God, her love and purity of heart that caused her husband to fear God. The culture that Peter was writing to in 1 Peter 3:7 was one who thought of women as lesser than themselves. They divorced women for no reason. Burnt food, not doing something correctly. Christ changed all that in the way he treated women. Talking to them, looking them in the eye. The passage in 1 Peter along with other passages and Christ was changing the way women were treated in the home and in the church. If you read all the passage it also says that we are equal(co-heirs) to the Grace of God. weaker vessel is speaking of physical makeup, which Lydia makes a good point, some women are bigger and stronger than some men, not weaker in that we cannot endure hardship, we cannot stand for right, or that we cannot interpret scripture properly. We can do all of those things and more. The same Holy Spirit indwells us and gives us gifts as in Christian men. There are many false preachers among men. As for myself and many other women, because of my physical make up my husband could hold me down, knock me down easily. That is what I believe is meant by "weaker vessel". We are gifts to men from God, not something to push around, bully, or keep from speaking out or teaching scripture. Linda: Who here is attempting to rank boss status? No one should be the "boss". That is the point. I really think you have misunderstood by not really reading the comments well. Since I am the only one who has engaged in "mocking" [that I know of], I guess you are referring to me. You seem to make me out as wanting to "suppress" women. Let me remind you that I was against what happened to Klouda and stated my position on this blog. Yes, I have mocked the perspective of Paula, but if you read all of my comments I have not attacked or called "her" names. However, she does not mind speaking of "male supremacists". However, I appreciate you bringing up the subject of mocking because I do need to watch myself. I think there can be a place for it, but it can also spring from the source of pride. And pride, to me, is a very, very tricky thing. So, I do think I am going to pull back from anymore mocking in this comment stream. Please pray for me [I'm serious]. And for the record, though I strongly disagree with her, I do think Paula is a highly intelligent person. As you may remember, my initial comment was not directed to Wade, but to you. I have explained that I do not have bones to pick with Wade's post, but since my comment to you appears to be a distraction, we will leave it be. With regard to your pontifications about my supposed cold-bloodedness, let me be clear - you know nothing, and I mean, not one thing. You offend me and disgrace your calling as a daughter of Zion. Ok, it's not something I wanna admit but it's a fact and complementarians who accept it (by accept I mean accept that it's going to happen, no agree or go along with) will I think find themselves less stressed about it for lack of a better word. Lydia, Paula, Debbie--your side is going to win. Eventually, being a complementarian is going to be equated with being a racist or something just as vile. It's going to happen. Pat yourselves on the back. 1) Society cannot abide any standard. The very idea of any absolute is abhorant to the culture today worldwide. 2) There are folks in the church who claim to be complimentarians who are e-gals but don't want to admit it. The pressure within the church is going to push for a "live and let live" mentality. The suggestion that we draw any lines over any doctrine will be looked at as "old fashioned". Reading things, especially this blog, has led me to conclude this. To tell you the truth, once I accepted that this is what was going to happen I was really ok with it. Fact is, it's not going to make any difference in what I believe what I stand for or what I do. Benji, I was referring to comments in this post and prior post. I myself have made lot of comments like that, so I know what causes it :) I truly was not looking at you alone. God bless you, Benji. I did rather get my 'Irish' up, didn't I? Part of the situation for me is this: I am contemplative by nature, not 'confrontational' im matters of faith. ( HOWEVER, I am absolutely a tiger when someone is hurting innocent people. For the most part, when not in tiger-mode, I like to explore the 'other point of view' to see what can be learned: how did the person come by their thinking and develop their ideas? I also ask this: how much of what the other expresses is because they may not be aware of another way of thinking that might give them pause, or suggests that they might follow another avenue of thought that is presently and (sadly) unknown to them? The 'old teacher' thing in me comes out sometimes: asking those 'questions' that seek to raise consciousness and to provoke thought, possibly, hopefully . . .
And not expecting to see the results of that conciousness or thinking immediately. . . . So, immediate interaction is fine, but not the primary goal for me. Primary Goal: what can these people here teach someone who is a 'stranger in a strange land', who wishes them only good? I think it has to do with a woman being feminine and thus more easily being hurt by the harsh treatment of a man. I think what Peter is saying is that a husband needs to understand the kind of a person a woman is and treat her accordingly. Even if the woman is 6 feet tall and the man is a runt, the woman is still more easily hurt. Therefore, quit yelling at her, stop backing her into a wall, be tender, loving, gentle, sensitive, and if she tells you that you have hurt her, then drop everything and give her your undivided attention. Don't break her. Love her. Check out Grudem in "RBMW", Pg. 208 about what he says the word for woman means [third paragraph]. If you disagree, then let me know why. I respect you Lydia [my daughter's name is Lydia by the way], but I do think you are trying to explain away what is there using the cultural argument you are using. I do not buy the argument that "weaker vessel" is merely talking about the physical aspect of a woman [to the exclusion of her nature]. The physical aspect is so obvious [generally speaking] that it comes across to me as almost being a meaningless statement if that is all the Bible is saying. Men play football. Women don't [aside from kicker sometimes]. "Opening doors for women, kissing their hands, etc., is a wonderful cultural characteristic of deference." The point is not merely deference. The point is that men kiss the hands of women and not vice versa and that this reflects, to me, something of what is masculine and feminine. If we are going to say that it doesn't, then we would have to say that if dance classes started teaching girls to lead the guys, then our "squirming" at the sight is merely due to our social conditioning. Some people may think that as an egalitarian, I don't know what complementarians really believe. But I left complementarianism, a relatively short time ago, about two years, and became a convicted egalitarian after reading Grudem's books. I do have to thank him for that. There are two separate areas of contention. One is experience. One woman will say that she submitted and her husband became a Christian. But another woman will say that she submitted and her husband did not change. This is like the health and wealth gospel. The success of one story cannot guarantee success for any other woman. Typically, abusive personalities do not change. Typically submission to abuse increases the abuse. Submitting to any behaviour is likely to increase that behaviour. On my blogging, much of what I have posted has been previously published by Linda Belleville, and others. Many of the studies that I blog about are so complex, I have not yet found a way to respond in a concise and accessible way. But let me try. Regarding 1 Tim. 2:12, the verb authentein is relatively unknown at the time of the NT. "The fact that lexical study in this case, owing to the limited data, of necessity remains inconclusive leads naturally to the next chapter in the book"
Kostendberger then proceeds to discuss sentence structure, and proposes that if didaskein (teach) has a positive connotation, then authentein (meaning unestablished)must also have a positive connotation. However, in Titus 1:11 teach has a negative connotation. And in the few occurrences of authentein at the time of the NT, it had a negative connotation. Now, some may argue that a woman still cannot teach. But my point is that scholarship does not support the translation of authentein as "to exercise authority" or to have proper leadership authority in the church. There is not even a single occurrence of authentein in the several centuries before and after the NT that is translated as "to have/exercise authority." No matter what the interpretation of 1 Tim. 2:12 is, the facts are that the data does not support the meaning "to exercise authority." Jerome, Luther, King James, and so on, had "dominari, herr sein, usurp authority." I found the same thing with kephale, and Junia. No matter how difficult it is to ascertain the real meaning, the facts do not support the conclusions of the major studies in this field. Thanks for mentioning tō gunaikeiō on page 208 of RBMW. I wonder if Grudem has also written on the fact that the noble woman in Proverbs 31 is called γυναικα ανδρειαν gunaika andreian. In Latin she is called the mulieris fortis. This expression also occurs with reference to Ruth. The ideal woman is the "manly/courageous" woman, and in Latin the "strong woman." Grudem is very handy with Greek when he thinks that it supports his ideas, but he then leads me to examine the facts in the case. The ideal woman of scripture is described in exactly the same language as the ideal man. Chayil in Hebrew, andreios in Greek, fortis in Latin and so on. I have been unable to find any attribute of woman that is not also applied to men, in the entire scripture. But there is always a first time. I am no longer surprised when fundamentalist/inerrantists who base their claims on original autographs that do not exist cry foul when biblical linguists of the ancient languages provide sound scholarship that runs counter to received tradition. Tradition is their strong authority. How sad. Jesus was up against the same notions in his day. "Lydia, Paula, Debbie--your side is going to win. Eventually, being a complementarian is going to be equated with being a racist or something just as vile. It's going to happen. Pat yourselves on the back." we,as Baptists,have gone from a strong belief in the Holy Priesthood to authoritarian chain of command in the Body of Christ and marriage. There is a reason for this: Backlash tothe culture. My mom,who grew up SBC,had much more freedom to operate with her giftings in the Body of Christ than most women do now in the SBC. They were not worried about women teaching men or who had preeminance over whom. Why do you think that is? And the pastor was just another believer with a gift. Not some authority that must be obeyed. 1) Society cannot abide any standard. The very idea of any absolute is abhorant to the culture today worldwide." You are proving my point above. You equate equal giftings in the Body and mutual submission in marriage with what is going on in the culture. The same point was made by Southern Christian slave holders about those liberal Northern Abolitionists. Seems those Christian slave holders were not worried about 'weaker vessels' and 'hand kissing' when it came to back breaking work for black women. Do you honestly think we are any different from them?
") There are folks in the church who claim to be complimentarians who are e-gals but don't want to admit it. The pressure within the church is going to push for a "live and let live" mentality. The suggestion that we draw any lines over any doctrine will be looked at as "old fashioned"." Not at all. You are missing an important point. One of the biggest draws in churches today, not to mention a money maker, are the comp seminars, books, sermons, DVD's, etc. People crave "how to"formulas, rules and roles. It is so much easier to follow a role than it is to daily Abide in Christ. Everyone is wanting a Talmud to follow and CBMW is only happy to oblige. But their rules are confusing. As Mary stated on the last thread...at what age should a male be when a women is no longer allowed to teach him? We cannot seem to get an answer to this. Yet, it is a 'rule' you state is biblical. They are elevating a non salvic doctrine to one of being a work of salvation in living out what they call 'roles'. And we are moving more and more toward Rome every day. "Even if the woman is 6 feet tall and the man is a runt, the woman is still more easily hurt. Can you show me pre fall where 'weaker vessel' is taught in Genesis? Or is it a result of the fall? "The point is not merely deference. The point is that men kiss the hands of women and not vice versa and that this reflects, to me, something of what is masculine and feminine." Benji, I have an honest question for you and I am quite serious. If masculinity and femininity are so very important in the Body of Christ then how can I seek to be Christlike since Christ was a male? I have no corresponding feminine spiritual model that was God in the flesh. Very true. This has always been the way to hold positions of power that are unjust. Same thing was done to African American slaves. But human inquisitiveness cannot be held down forever. There are always a few who manage to seek and find and escape. Do you remember that woman called “Sojourner Truth” who went around preaching God’s messages to the slaves? A lot of souls were saved and rescued because of her. More and more I am coming across women whose souls have become deeply wounded over the patriarchal teachings of womanly subjection. It is amazing how the truth of God’s love for everyone frees. Seeing a woman’s inner person change into truly delighting in God, His Word, and His work in their lives, is absolutely awesome. The Body of Christ is composed of both men and women. The good qualities of men and women come from the good qualities of God. And we need those good qualities represented to us in all areas of ministry in the Body of Christ. Excellent Post,… and one that should be carefully considered. I think Debbie is right to say that the scriptures that have been viewed and hermeneutically exercised are important to examine in context. It does seem that Dr. Kaiser is proposing a new and interesting view on the purpose of the text. If we are to surmise the Genesis 2:18 text is about the purposes of God in salvation rather than the purposes and authority of man,…the context when rightly viewed reveals a submission to God on the part of man: both male and female. It is clear that there must be equal submission for the context to appear and for the purpose in the text that most have agreed is penned by Moses, to frame the reason for man and woman’s being in the world….which is to bring “glory” to God….not to discuss levels of authority, because God has already established His order quite clearly for us to realize the extent that all glory be given to Him alone. Where Kaiser tends to run into dry ground in his exegetical exercise…. is relating this concept of his…. while pointing to the passage in 1 Corinthians 11… In context, the “power” asserted by Kaiser is actually the “glory” (doxa) typified in the effecting God, not the “power”(dunamis) resting on or near the woman. So Kaiser’s relating context crumbles as he extends a new thought in the mind of the Apostle Paul as the Apostle explains how “all things originate from God”. God’s word applies purpose to the man: both male and female in order to build unity in the Spirit. The order by which the bride of Christ works harmoniously is clearly articulated by the Apostle Paul and Moses for that matter. So, Paul’s definition of submission in man: both male and female,… seems to lessen the impact of Kaiser’s view of authority and power, creating a new context where one does not exist. When, slowly from her seat in the corner rose Sojourner Truth, who, till now, had scarcely lifted her head. “Don’t let her speak!”gasped half a dozen in my ear. She moved slowly and solemnly to the front, laid her old bonnet at her feet, and turned her great speaking eyes to me. There was a hissing sound of disapprobation above and below. I rose and announced“Sojourner Truth,” and begged the audience to keep silence for a few moments. "I have ploughed, and planted, and gathered into barns, and no man could head me! And a’n’t I a woman? I could work as much and eat as much as a man—when I could get it—and bear de lash as well! And a’n‘t I a woman? I have borne thirteen chilern, and seen ’em mos‘ all sold off to slavery, and when I cried out with my mother’s grief, none but Jesus heard me! And a’n’t I a woman? “Den dat little man in black dar, he say women can’t have as much rights as men, ‘cause Christ wan’t a woman! Whar did your Christ come from?” Rolling thunder couldn’t have stilled that crowd, as did those deep, wonderful tones, as she stood there with outstretched arms and eyes of fire. Raising her voice still louder, she repeated, “Whar did your Christ come from? From God and a woman! Man had nothin’ to do wid Him.” Oh, what a rebuke that was to that little man. Amid roars of applause, she returned to her corner, leaving more than one of us with streaming eyes, and hearts beating with gratitude. She had taken us up in her strong arms and carried us safely over the slough of difficulty turning the whole tide in our favor. I have never in my life seen anything like the magical influence that subdued the mobbish spirit of the day, and turned the sneers and jeers of an excited crowd into notes of respect and admiration. Hundreds rushed up to shake hands with her, and congratulate the glorious old mother, and bid her God-speed on her mission of "testifyin‘ agin concerning the wickedness of this ’ere people." Source: Elizabeth Cady Stanton, Susan B. Anthony, and Matilda J. Gage, eds., History of Woman Suffrage, vol. I (Rochester, N. Y: Susan B. Anthony, Charles Mann, 1881), 114–17. One point this article makes is that there are both complimentarians and egalitarians who are conservative evangelicals. Both sides, and those undecided, need to see the viability of both interpretations. Study it meticulously. Discuss it thoroughly. Debate it fervently. But whatever you do don’t draw a line of fellowship through it. Keep love, acceptance, and forgiveness through it all. Some relationships seem to function on roles. Some roles seem to function on relationships. Yet, all relationships and roles function under the Lordship of Christ in the individuals lives. Try to understand the interpretation through being in the shoes of the other person. If you don’t think your environment has anything to do with your interpretation of scripture it is best to remember that pre World War II almost all conservative evangelicals were postmillennialist. "If masculinity and femininity are so very important in the Body of Christ then how can I seek to be Christlike since Christ was a male?" It's not that I believe masculinity and feminity gets alot of attention in Scripture. I don't think it does. Things like "one anothering" get alot of N.T. attention [I think you would agree with me here]. There are different nuances in Scripture. Yes, we are to be like Christ. We are to not compromise with the world and be sacrificial towards one another. Whoa--can we back this truck up? 1. Just because I chose to submit to my husband DOES NOT MEAN he was ever in any way abusive. And just because someone else does not enjoy the outcome I enjoy does not make my experience any less valid than theirs. 2. Complementarians, male or female, are NOT ALL male supremacists. Some are, and I oppose those. Some are not. 3. Complementarians are not all dunderheads who just don't get scripture. I thought the whole idea of the new tone of Pastor Wade's blog was to discuss scripture rather than trash those that disagree with us. Maybe he should just post and shut down comments totally if we will not abide by that. 4. Debbie--I did reread the comments. Sorry, but just as I oppose men who believe their traditional role makes them boss, I oppose women who aspire to the same status. And that is what is happening when anyone who disagrees with egalitarianism is called a male supremacist with all the civil rights overtones that brings up. It is insulting, and it is intended to both insult and denigrate those with whom the egals disagree. If God calls a person to preach, or to pastor, they preach and pastor. If you are in a situation that does not ordain women, preach and pastor anyway if you are called. Maybe it will be to fewer people. Maybe you won't be allowed to do it behind a pulpit. Maybe you won't draw a paycheck from that group. Now, if the status of being behind a pulpit is important to you, or if the number of people you serve is important to you, or if the paycheck is paramount, I submit to you that you are seeking status and to be a boss, and therefor probably not called to preach anyway. If those things do not matter, and you continue to be faithful to preach and pastor, God is perfectly capable of either strengthening you to serve where you are as it is, changing where you are, or moving you to a group where your gifts will be validated. I am not SBC for a reason now. But I believe the majority of people in the SBC agree with not ordaining women based on their understanding of scripture, not on prejudice. BECAUSE I accept the priesthood of the believer, I need to honor that. Certainly those in the SBC that disagree and would ordain women should be free to speak up--civilly, without name calling and attacking the character of the comps. And women who believe they are called to preach and pastor should do so--even if it means leaving the SBC. But let's drop our current cultural habit of attacking those with whom we disagree. Just as not all Calvinists are antievangelism, just as not all who oppose gay marriage are homophobic, just as not all inerrantists are fundamentalists, not all complementarians are male supremacists, or abusive. Let's discuss scriptural issues, not the character of our opponents. But whatever you do don’t draw a line of fellowship through it. Actually, that's exactly what I do. We're currently looking for a church and the only way our family is going to be in a church is if it is complementarian. Now, I wouldn't want to be in a church that says "No e-gals allowed". I'd just want the e-gal, if they came in there, to read the churches doctrinal statement or whatever and say "Um, I don't want to be here". Could you be best of friends with other believers if they were egals and went to a different local church? Could you share with them, love them, pray with them, laugh with them, cry with them...in other words, have fellowship with them? "Can you show me pre fall where 'weaker vessel' is taught in Genesis?" I don't have to. I believe that the N.T. should control our interpretations of the O.T. and not vice versa. Being cocksure of our O.T. interpretations [apart from the light of the N.T.] can lead to bullying the N.T. around with our O.T. interpretations. If I remember correctly, someone asked me on Wade's blog a long time ago if I believed the word "helper" in Genesis proved complimentarianism [something like that]. I said "no" and I still believe that. I also believe that Kaiser's material here does not prove egalitarianism. Putting too many eggs in the basket of "one" word in the O.T. to base some doctrine like this on is not the way to go in my opinion. 1 Peter 3:7 does not, as I see it, imply in any way that the woman is a weaker vessel due to the fall. Hence, I do not take it that way. I should have been more specific. I meant that I would only go to a church that was complimentarian and where an e-gal would not want to go. I assumed that folks who advocate "not breaking fellowship" would call me looking for a church like that "breaking fellowship". I have friends that are no religion, mormon, gay, whatever so yes I could be friends with an e-gal. Just want you to know that, even though we see things differently, you would always be welcomed in our home. Thoughts of Francis Turretin & Reformed Apologetics > Biblical Model of Family Should be Avoided??. I realize that there are many feminists (of both sexes) out there, but it is absolutely ridiculous to the point of absurdity to suggest that Christians should seek to rebel against God's mandate of patriarchy. The article that concludes with the comment above shows a lack of sense so profound that, at first, I figured that the author must be joking. IMO, Chosing a local church to participate with is usually based on personal preference. Sometimes there are some personal convictions involved. Yet, as you know, His purpose is greater than our preferences. Glad to hear that you can fellowship with others in Christ even if they don't hold to your preferences and personal convictions. Blessings to you in finding a local church where you can belong and serve. No. He didn't buy me The Coat. His gift was so much more than that. It was well over thirty years ago. We did not have a lot of money and my daughter was in a private school. We managed quite well, purchasing a smaller, older fixer-upper home in an extremely good neighborhood, and cutting our costs in very creative ways. And then, I saw 'The Coat'. It fit perfectly. AND it was only ten dollars at the Salvation Army Thrift Shop! Two Problems: it smelled a little funny and some of the skins had begun to separate from each other. Night after night, my husband sat up late, at the dining room table, hunched over the coat, painfully sewing the skins together with a large upholstery needle. What a labor of love! Wearing his glasses, he looked not unlike a Jewish tailor. Well, the story doesn't end there. I now had the perfect fur coat except for that 'funny smell'. So I thought: I will put it outside to 'air out' and off I went to take my daughter to school. I had forgotten that it was also my day to be teacher's helper, so I stayed and worked at the school all morning. The smell increased ten-fold and there was nothing to be done but to discard the coat. I was heart-sick to tell my husband, who had worked so hard, but when he found out what I had done, he just laughed about it. This story isn't about a coat. It's not about complimentarianism, or 'authoritarianism, or 'patriarchy', or 'egalitarianism', or any labels at all. This story is about a treasured memory of my husband who sat for hours, painfully sewing up a smelly fur coat, late into the nights, at the end of his own extremely difficult workdays. It's not that I believe masculinity and feminity gets alot of attention in Scripture. I guess I am wondering if they get any attention in the scripture. I have never actually seen any scripture cited to support this. I think perhaps I was misunderstood. I would assume that your story and life is equally valid to mine. Absolutely. And that is why submitting must NEVER be taught as obligatory. It works in some cases but not in others. Statistically, those men who do abuse, (or women) don't stop for any reason whatsoever. In these situations, submitting is dangerous. This should not in any way render your experience invalid. It just means that one can't generate a univeral truth from the experience on any one person. There has to be a teaching and practice which is safe for other women as well. Linda, something you said bothered me and yet had some merit. 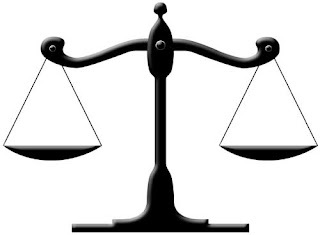 When people are being treated with unjust bias, it seems to me to be further injustice to tell them they are wrong to want equal consideration and valuation. It may be a good idea in the face of injustices that cannot be easily corrected to be thankful that one can minister at all whether recognized, honored, appreciated and/or paid or not. But chastising such people for being wounded for injustices, goes to far IMO. Chastizing them for desiring to be behind a pulpit when they know God called them to such a place, charging them with seeking status, and implying that must mean they are not really called at all reeks of one who cares little for truth. Really, being behind a pulpit should not be about status. But a hierarchical viewpoint often does ascribe an honor to those who minister that is beyond what it should be. We are to be servants first and foremost. 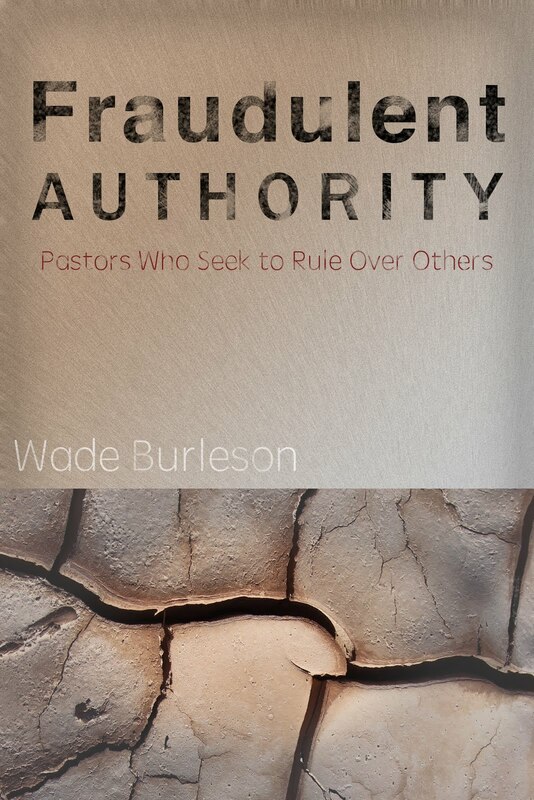 Those who think that being a pastor is about status or authority are too many today. Many times I’ve been appalled at how many ministers demand a certain pay and won’t “serve” in a church that cannot meet that amount. As well, they demand much in other areas, and give less than they expect of others to give to them. However, let’s not forget the unbelievable abundance of name calling that the SBC and the founders of CBMW (sorry, but true. I witnessed it.) have raged against those who believe in Biblical equality. So we have a picture of an absolutely huge monstrous abundance of verbal bashing from the patriarchalists and inner circle members of compism. Then we have a minor amount of squeeks in response from the egals who have experienced some of that huge amount of extensive verbal bashing. And who get’s chastised? This isn’t about “attacking character”. Someone needs to acknowledge the truths of what has happened. I saw it. I witnessed it. I felt the wind of the raging storm. I was drenched, in shock and wounded. Fortunately, I lived through it and grew stronger because of it as have many. Please do not presume that these so wounded are making up stories, or seeking to be mean when they speak so leniently and infer in such small terms of their experiences. And finally, yes. Not all women who seek to be pastors are looking for status. Not all women who wish to preach from the pulpit only wish to do so for the money. Not all egals are against men or marriage or Biblical submission or Biblical authority. I have no interest in being in the pulpit. I want whatever conditions contribute to women seeking safety - not being bruised and broken physically and emotionally. I don't want women who have lived this life to be theological throwaways, collateral damage, victims of friendly fire. These women have the right to live. I also want to see some kind of rational critique of the flood of exegesis which simply is not supported by evidence. That's it. I don't care if I never see the speaker side of a pulpit in my life. “Therefore I suggest that we translate Genesis 2:18 as “I will make a power [or strength] corresponding to man.” Freedman even suggests on the basis of later Hebrew that the second word in the Hebrew expression found in this verse should be rendered equal to him. If this is so, then God makes for the man a woman fully his equal and fully his match. In this way, the man’s loneliness will be assuaged. Getting back to the theme of the post. ….. Can anyone share with me what is the impetus for changing the context and emphasis as Kaiser has done from God to man? Regardless of how one feels on the equality of man and woman…. which this section is not about,… why is it important to raise another context not centered on God. Genesis 2 accentuates that “ the Lord God”; formed, planted, took, commanded, said , formed, caused, and fashioned. It is a little presumptuous to raise the context in favor of man. I hope you did not think I was implying women had TWO heads in (1 Corinthians 11: 3). That’s why I put a smile to Lydia. I agree there is NO untruth in SCRIPTURE, but I disagree that ALL words in the Bible are Scripture. Words that are NOT Scripture start with the lies of Satin and men, and end with lack of knowledge, ignorance, and stupidity of men. Also ‘bad memory’ is in there somewhere. Would you agree that ‘proving’ one word wrong in the Bible’ is easier than ‘proving all words in the Bible are correct? I’ll start with ‘Paul’s bad memory’. Jon, is that verse completely true? Ut Oh Jon, as you said the “Holy Spirit’s whistle” just blew. If you STUDY Acts 25 you’ll see that Paul appealed to Caesar BEFORE the Romans wanted to release him. And there were no Jews present when King Agrippa wanted to release Paul. I’ll bet Paul thought many times if he had not appealed to Caesar he would be free. Moses whished to go to the Promise Land but couldn’t because something he had done. So like Moses, Paul put the blame on the Jews because of bad memory or otherwise. Next is an example of an ‘untruth’ based on the lack of knowledge. On earth, Jesus did not know everything. More than once he told people that only God knew. For proof of my believe see the reply I made to Jon. I quoted this much of what you said as it applies to the changing of our church music. But I disagree there is “nothing they can do” as you are an example…they can leave which many have done while us deacons have sat back and watch our church decline over a year without ever questioning CEO decisions. Hopefully, our last meeting was to decide if the congregation should be asked what type of music they wanted. Our pastor said he would take care of it with some other questions he had planned to ask. Now that was ‘hitting below the belt’…not me but Wade. BTW what is a “mainstreamer”? You tried to drag Wade down by connecting him to me. Wade does NOT believe as I. Why would you say such a thing? At one time I believe Wade said that a liberal was one that did not believe in inerrancy. I thought Wade took the ‘high road’ in not correcting you on that point. How can you ‘condemn’ me for not believing in inerrancy, when you won’t tell the difference between an ‘error in the Bible’ and an “illusion” in the Bible as explained on page nine of the Chicago Statement on Inerrancy? Could it be that we are all in some ways a little like the pastor you just left? The matter of inspiration of scripture is pivotal because there's no sense arguing about what it says if we cannot know what is from God and what is not. And then it follows that people have sanction for throwing out whatever parts they don't like. And if we can't trust what Paul says on non-doctrinal matters, how can we trust him on doctrinal ones? So here's how I see it: Per the example of Paul not remembering who he baptized, is he not making a true statement? When we read of the lies told during the mock trial of Jesus, do we not understand that they are simply being reported as true events in that trial? Per Paul's appeal to Caesar, are you saying God did not want Paul to go to Rome and witness to people there? Did not Jesus tell him how much he'd suffer for the Name? Above all, how is the reporting of this incident an error or uninspired? It's history, just like much of the OT, and there is no error in the reporting of things that actually happened. So it is with all your examples. When we say all of the scriptures are inspired by God, we're not saying the people were infallible in all areas of their lives; far from it. What we are saying is that the words recorded are the words God wanted recorded. The question for you is this: How do you decide which parts to keep and which to ignore? On what is that principle based? Paula, you see they did not add ‘all the Bible is true and trustworthy’ but SCRIPTURE. To sum up what Paul writes; we believe what the Holy Spirit tells us is true. We trust Paul as the Holy Spirit guides us. Paul did not tell a lie if that’s what you’re referring to. But what he said in verse 14 was not true in him baptizing only two people when in verse 16 he added another family. In fact, would you swear that was all he baptized based on his words, “beyond that, I don’t know if I baptized anyone else”? Your next question was about the lies in the trial of Jesus. Yes, we know lies were told in the trial of Jesus even though the Bible does not tell us they were lies. We would not know Moses lied if we never read Numbers 20:12, 24 and 27:12-14 where God told Moses he and his brother lacked the faith to believe Him by speaking to the rock instead of hitting the rock. This one example shows the fallacy of Adrian Rogers saying, “Scripture cannot be set against Scripture.” Oh, I just realized he said “Scripture”, so all these years I see he was right after all. “Is the reporting of this incident an error or uninspired? Yes, it is an error in reporting as God does not inspire untruth. It was an ‘error’ that Paul appealed to Caesar AFTER the King’s decision, and the Jews did not object to the decision as none were present. In fact, Paul was not present and must have heard by way of the grapevine. Paula, if you believe The Chicago Statement on Inerrancy would you explain how page nine would describe Paul’s ‘untruth’ as an “illusion” and not an error? Many believe as you do that relying on the Spirit is all we have to tell truth from error in the Bible. Yet as even any atheist will quickly respond, then why are there so many different views, on so many important issues? Surely you would not conclude that all who happen to have the "wrong" view are either deluded or lying! In other words, this view amounts to "personal truth", or "true for you but not for me", which is what even the lost will say. So you still have not resolved the inherent flaw with this view. I strongly disagree. Reporting an error is not the same as endorsing it. The Bible reports many instances of atrocities in the OT, is God therefore endorsing them all? Then neither can it be claimed that the reporting of error means the report can't be from God. And if God cannot use our mistakes "to work together for good", then He is much smaller than any God should be. And it should be noted that whenever there has been a conflict between the Bible's historical accounts and secular accounts, the Bible always turns out to be true and accurate. How do you know that whatever parts you deem "error" in the Bible on the basis of secular knowledge won't turn out to be true after all? You can't. But as long as you believe that reporting something is the same as endorsing it, or that God cannot report anything that the creatures He made may do, imperfect though they are, then we'll never agree on this and will just have to drop it. "Can anyone share with me what is the impetus for changing the context and emphasis as Kaiser has done from God to man? Regardless of how one feels on the equality of man and woman…. 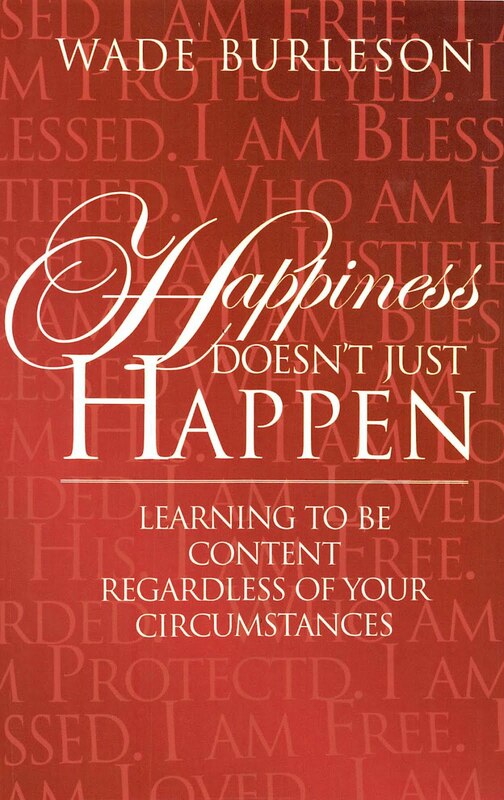 which this section is not about,… why is it important to raise another context not centered on God." Chris Johnson, very insightful statement. I believe there is untruth in the Bible that is NOT explained as untruth; nor is it obvious that it’s untrue. That’s why I gave two examples of Paul’s ‘bad memory’ and Jesus not knowing his Father would forsake him. How can you say I believe this false reporting is God endorsing it? The fact is you are the one that believes every word from man in a ‘white hat’ is true. Right? So if they report something in the Bible, you endorse it. So the conclusion is in my opinion, you have me switching sides and codenaming me for doing so. This is apples and oranges. God can use sin to accomplish his goals, but since He cannot lie, He does not lie in the Bible to accomplish anything; nor does he use untruth in the Bible to teach truth. As far as “secular knowledge” vs. the Bible, do you think someday it will be proved the sun travels around the earth as in Ecclesiastes 1:4-5 or the “four corners” will be discovered? Does that mean I shouldn’t have replied to you? ... he said, putting words in her mouth. I find your twisting of my view almost funny too. What I'm actually saying is that God can report error without being the author of that error. I thought I made that pretty clear. Inerrancy is all about what God wanted preserved in writing, nothing more. Do you still think that if Paul could relate his fallibility in scripture then he wrote outside God's will? But what you believe is that any time you see something that **you think** is an error, especially if God doesn't say "Hey look, this is untrue", then you assert that God did not want it written down. I did NOT say you thought such errors in humans was God's endorsement; where did you get that? That's the opposite of what I said. Neither have I ever said that everything REPORTED in the Bible is endorsed by God, only that He WANTED IT REPORTED, true or false. Why is this so hard to grasp? No Rex, it is you who have ME switching sides. And it is you who are trying hard to turn this into a "he said / she said" catfight, but I'm not playing. First you need to demonstrate that you understand my actual argument or this is a waste of time. That's all I was saying. I'll tell ya what, Rex Ray. How about you just explain to us all exactly how you pick out the true parts of the Bible? What is the golden measuring rod, the infallible principle, which is the discerner of truth from error, even over the Bible? We need to know, because otherwise there's no point in studying the Bible at all. Now I know you said something about the Spirit, but I don't recall if you answered the follow-up question: if we disagree, then does that mean one of us doesn't have the Spirit? Your last question: “If we disagree, then does that mean one of us doesn’t have the Spirit? I believe sometimes, on varying topics, the Holy Spirit has to get our attention. For instance, take Scriptures that scholars used for arguing salvation is through baptism and add “Let the little children come to Me.” (Mark 10:14), and presto: baptizing babies for salvation which the majority started in 251 AD, and have been going at it ever since. I believe there were some really hard headed mules on that deal. But back to you and me on being funny; and before we laugh ourselves to death, let me summarize. 3. You said it didn’t because God allowed untruth at the trial of Jesus. 4. But that was untruth by ‘black hats’ and the subject was untruth by ‘white hats’. So what was your point? In the first place, since the Bible contains Scripture (truth) there is nothing over the Bible except God, Jesus, and the Holy Spirit. ‘You shall have no other gods’ includes the Bible. God’s Word spoke the world into existence – not the Bible. There is a big difference. As grain is tossed into the air to separated chaff from wheat, the Holy Spirit separates untruth in the Bible…sometimes with the aid of a 2x4. So what you're saying is that the Holy Spirit cannot make us all listen to Him. But this does not answer the question of how we can go by our "inner witness", since none of us knows which ones are in need of listening. How do you know you have it right, Rex Ray? And I've already answered you on what Paul wrote. Whether the person being quoted is a black or white hat, the fact remains that God allowed those words to be recorded. It is history, it is a report. I don't know how else to say this. Also, I've heard this charge of "the Bible is your god" many times, but as I always answer, the important thing is Who authorized the words in the Bible. Because you ***begin*** with the assertion that there are words in the Bible that God didn't want there, you must believe that anyone who says otherwise is "worshiping" the Bible. This is a straw man at best. I could turn that around and charge you with using your view as an excuse to throw out any scripture you choose. My question for you is, why do you bother with the Bible since you have no way of knowing which parts are true? Are you claiming to be an infallible interpreter? If not, then you cannot know.